Late again ... what can I say except that I'm consistent This is gonna be an all Hurricane month and a tribute to the staying power and engineering prowess of Honda. Very nice of you to say, Steve. In the dam near 4 years I've been a member here, I've met a ton of really great people. I've also seen a ton of really sweet CBRs that have stomped the living hell out of us in almost every ROTM. 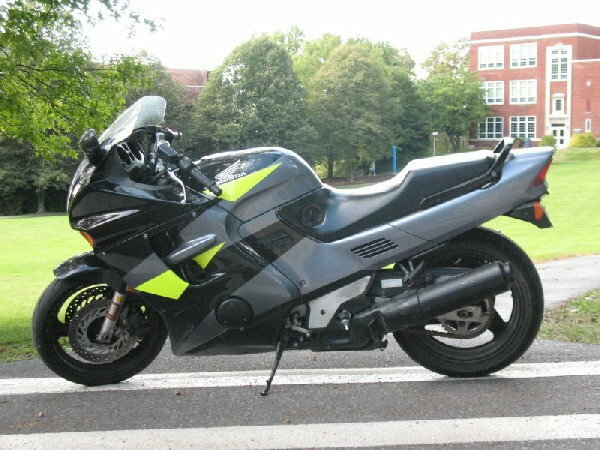 I can't think of a CBR year or model that I wouldn't be proud to own, but this is my bike. 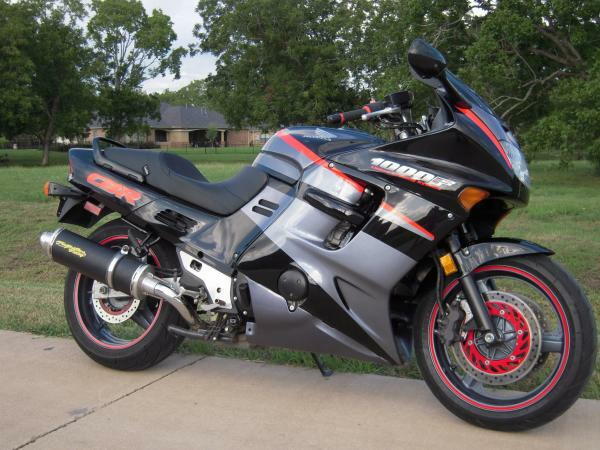 I bought it because it was stock, it had very low miles, it was in great shape, it's comfortable, it's a Honda CBR, and I could afford it. Now I think I'd have a hard time ever letting it go. All-around, it's just been a really great ride. 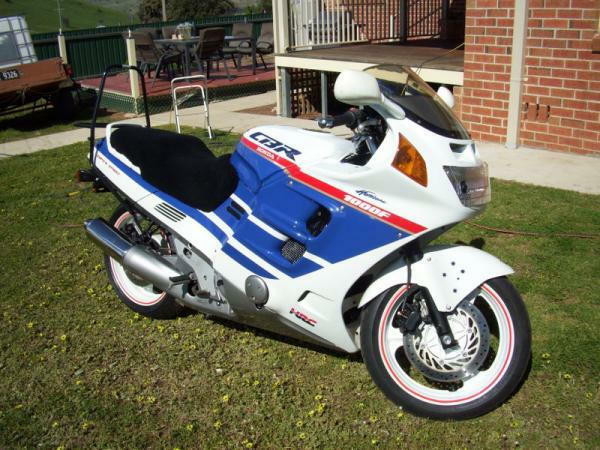 Anyway, it's a 1995 CBR1000F. It's mostly stock other than removed decals, removed p.a.i.r, Gen-mar risers, drilled out cans, Vortex Sprockets (+2 rear), RK Gold Chain, and Dunlop Qualifier Rubber. In the 4 years I've had it, I've had 0 problems. Come on, peeps. Show me some love. Last edited by kilgoretrout; 01-18-2010 at 08:30 AM. Ya only gets Luv ...........with a "good" PIC !!!! Thought you said you had a new cam ?? And who the heck is Joe Schmooozin' .....then eh ? Last edited by Sprock; 01-21-2010 at 10:19 AM. Your logic is flawed, sprock. You see, a mediocre pic of a sweet bike... is still a sweet bike. But a "good" pic of a turd bike....is still a turd. You're all smoke and mirrors, sprock... LOL..
Would it be wrong to ask who installed that corbin for him? Hear that Joe ........Trout ..........he's just too cheap to get a corbin ! most definitely never out the front smoke windscreen I have on mine !!!!! Last edited by Sprock; 01-25-2010 at 02:27 PM. ME in YOUR mirrors? What a joke..